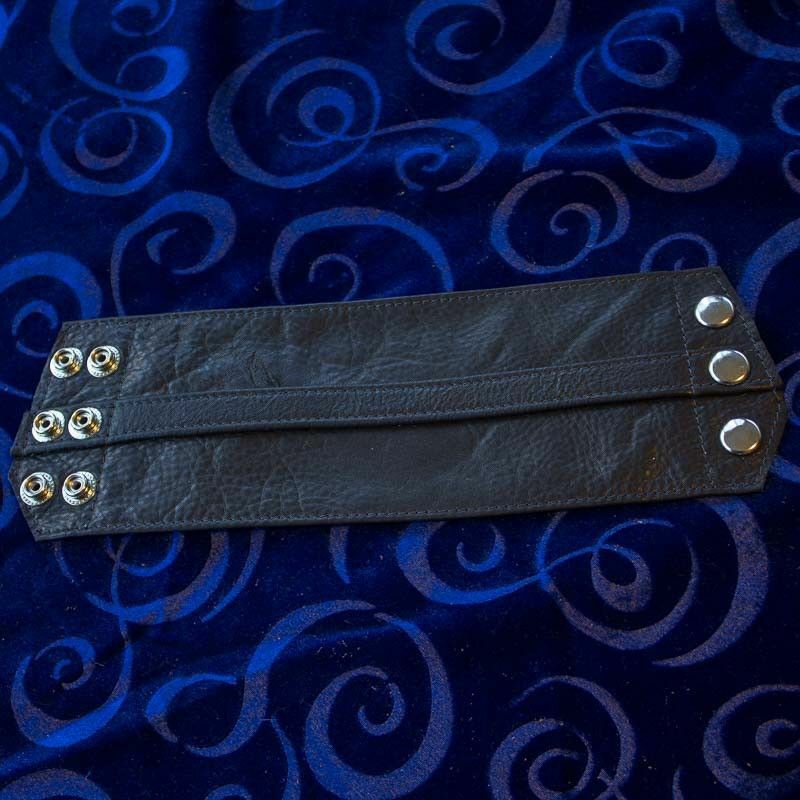 It appears as a leather cuff, but inside is a pocket with room for some items, money and whatnot. Made from two layers of quality chap weight, full grain leather. This is a piece that handles daily use well. It's not a big wallet, but it's the most sensual way to keep a few things close. These wallets put your back pocket on your wrist. Sized to fit a standard ID across the top of your wrist. They are small, but useful. Sizing: Small/Medium is 10" across at the widest point, Large/XL is 11", and 2XL is 12". Each size comes with two sets of snaps for adjustment. You want the wallet to be snug on the tightest snap, so that you have more room when you put things in it.